Victoria, BC, Canada – Reliable Controls is pleased to announce the release of RC-Toolkit™ 3, which introduces a number of new features in order to save time and improve productivity. New Access menu containing services such as Panel File Utility, Modbus Profile Creator, Connect/Disconnect, and Exit. New Options menu for BACnet® and Communication Preferences. New System Tree allowing the discovery of networks and controllers in a system. New persistent Tool Selector that allows tool switching without disconnecting. New OpenADR Setup tool allows configuring your MACH-System for Automated Demand Response. New Addition of Bugsplat crash reporting service improves the software quality. New improvements to performance, the user interface, and licensing options. This major upgrade is essential to help technicians integrate, expand, and commission the Reliable Controls MACH-System®. 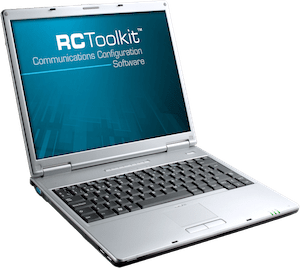 RC-Toolkit 3 improves the experience for dealers and end users. The new GUI is consistent with other version 3 software previously released by Reliable Controls, which improves intuitiveness and provides a more efficient navigation experience. This release also includes Modbus setup improvements, allowing for configuration of new override properties for slave devices, displays of new diagnostic properties, and a new Modbus Parameter test feature.